R1986, Marvin Granger. 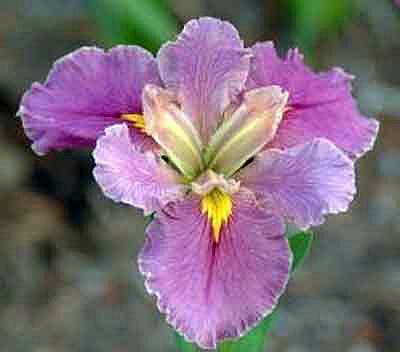 20-22, M. Medium to deep lavender pink falls, with light greenish yellow signal. Standards light lavender pink. Ruffled. Winner of Mary Swords Debaillon Award, 1995. Lafitte's Retreat x Charlie's Michele.